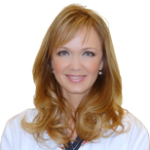 Dr. Dawne Griffith has specialized in refractive surgery for the majority of her 17 years in practice since receiving her Doctor of Optometry degree in 1995 from Pacific University. She earned a Bachelor’s degree in Chemistry from Southwest State University in Minnesota in 1991. Dr. Griffith has received awards for Clinical Research and Clinical Excellence. Dr. Griffith is a member of the American Optometric Association, the Oregon Optometric Physician’s Association, and the Optometric Council for Refractive Technologies. She is currently an Adjunct Assistant Clinical Professor for Pacific University College of Optometry. She is the Regional Clinical Director Advisor for TLC. When not in clinic, Dr. Griffith can usually be found enjoying the outdoors or playing ice hockey with her husband.